We are offering high-end quality of Aluminum Collapsible Printed Tube to our clients. Our range of Aluminum Collapsible Printed Tube are designed in conformation with international quality standards. 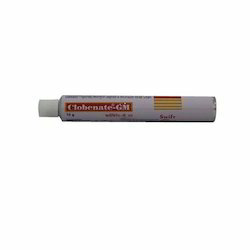 Fabricated using quality grades of aluminum, these Aluminum Collapsible Printed Tube are extensively used in pharmaceutical industry. Available in different sizes. 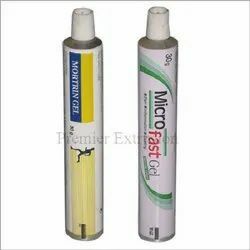 We are a leading manufacturer and supplier of Aluminium Printed Tubes for Pharma Industry. The offered product is manufactured using optimum quality raw materials. We are offering a supreme range of Aluminum Collapsible Printed Tubes to the customers. These tubes are coated with white or are transparent or opaque fitted with dimensionally accurate caps. Moreover, we have developed these plain extruded tubes with superior grade of raw material sourced from trusted vendors of the industry.